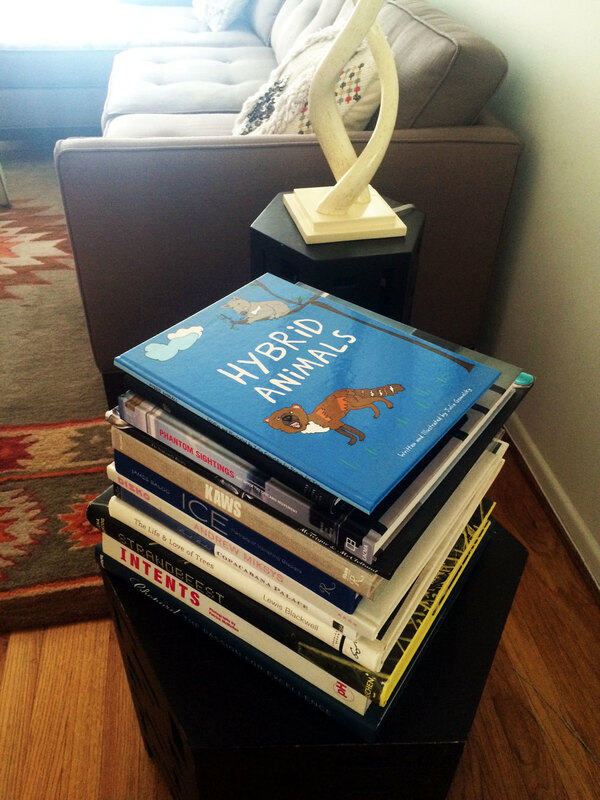 You can now purchase a book of Hybrid Animals directly from Lulu! Just a boy named Sid and his Hybrid Animals book! I remember I was always so scared to watch "Land of the Lost" when I was a kid because of the sleestaks. They were reptillian beings from another land and they hissed and scared the bejesus out of me. Thank goodness I've grown up and can now have a new appreciation for the campy creatures. I've decided to make them a little more scary as a hybrid sleestak/vampire. I'm working on my next book of wacky animals, Hybrid Animals Too. It's been a while since I created a collection and I have so many more now that a new book was calling! Here's a sneak peek of the cover... not final yet but just getting my thoughts down. Check out the original version, Hybrid Animals. Hybrid women bunnies in the snow. Jamey is quite enchanted with our Hybrid Animals book! I love how comfy she gets to read about these fun creatures. Want your own book on Hybrid Animals? Purchase one today! Framed Kung Fu iguanas. Don't mess with these guys. They can be pretty stubborn. How did you spend your holidays? 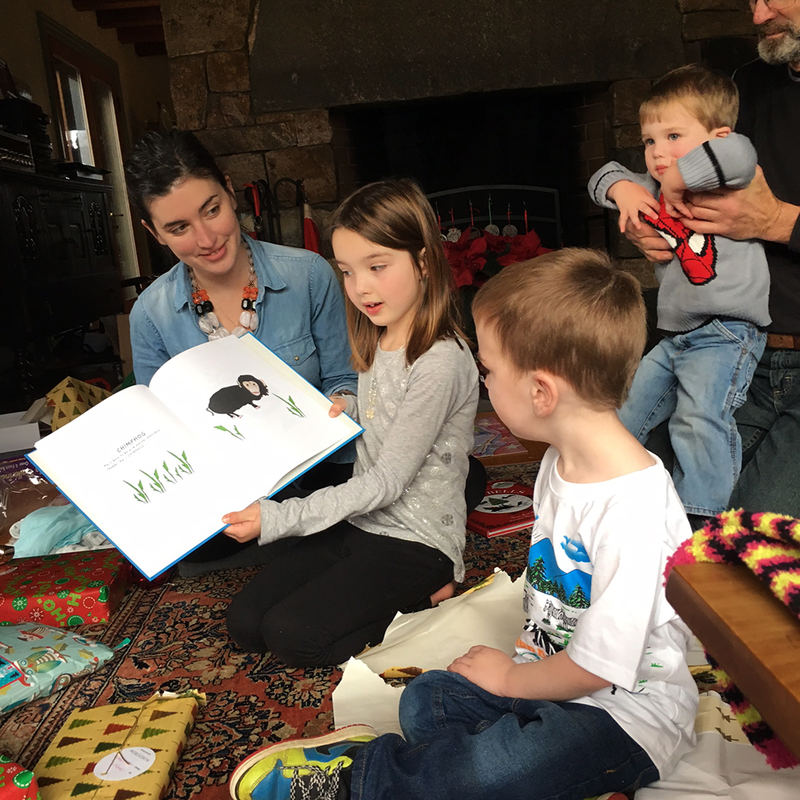 These kids spent it reading 'Hybrid Animals' and I was so thrilled to see this! 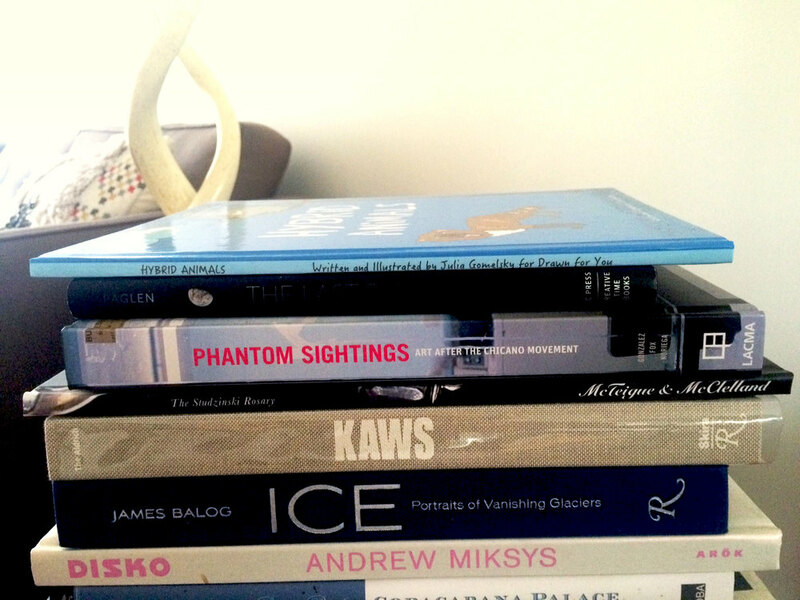 I'm spending my Sunday with my sister and there are so many reading options available! I think I'll start with my book of Hybrid Animals! He is gentle with kind eyes that sometimes get caught in the headlights while ice skating in a tuxedo. He is PENGUINDEER. He only comes out of his hole to stir up trouble and is full of venom. 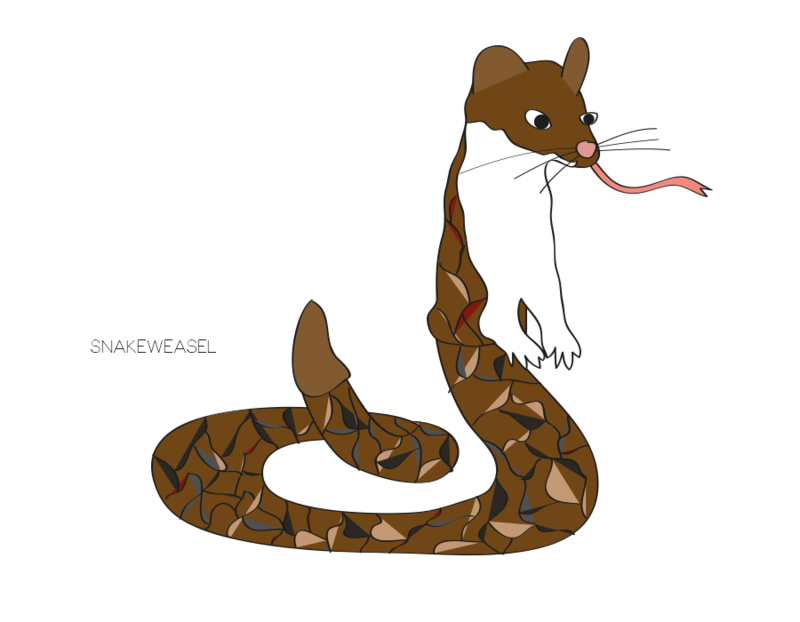 He is SNAKEWEASEL and he's inspired by the last boss I will ever have. Let's just call him Scott. Look at those sweet little things! They are muffin tops!